Τον κύριο που βλέπεις στις φωτογραφίες είμαι σχεδόν σίγουρος ότι τον ξέρεις, είναι ο Kris Singh. Αν δεν σου λέει κάτι το όνομα, είναι ο τύπος με τις περισσότερες Lamborghini που έχεις δει ποτέ, και διαθέτει μια εκ των τριών Veneno. 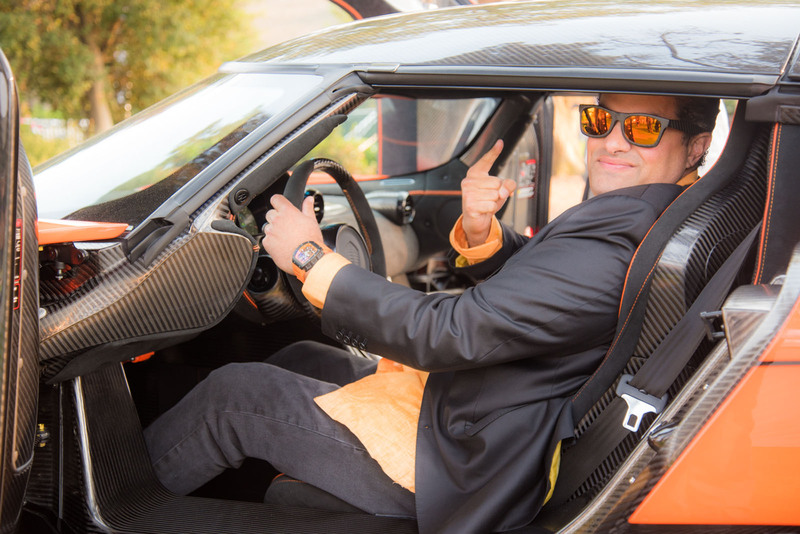 Ακόμα έχει στην κατοχή του την εκπληκτική Pagani Huayra “La Monza Lisa”. Τι άλλο θα μπορούσε να κάνει παρέα σε αυτά τα υπεραυτοκίνητα; Μα φυσικά μια Koenigsegg Agera RS. Βέβαια αν είσαι πολυεκατομμυριούχος, -κάπου στα 200 εκατομμύρια δολάρια υπολογίζεται η περιουσία- και λίγο εκκεντρικός, μπορείς κάνεις την Koenigsegg να σου “μετονομάσει” την Agera RS, σε XS, όπως έκανε ο κύριος Singh. Πρόκειται για την πρώτη Agera RS (ή XS, όπως προτιμά ο καθένας) που εισάγεται στις ΗΠΑ, και για να γίνει αυτό χρειάστηκε μια σειρά από επεμβάσεις και προσαρμογές για να εναρμονιστεί με την αμερικανική νομοθεσία. Και σε περίπτωση που αναρωτιέσαι αν η Agera του Singh θα αισθάνεται μοναξιά στο γκαράζ του, η απάντηση είναι μάλλον όχι. Για παρέα θα έχει μία από της τρεις Lamborghini Veneno που έχουν κατασκευαστεί για να ομορφύνουν τους δρόμους και όχι μόνο τις πίστες αξίας 4,1 εκατομμυρίων δολαρίων, μια Aventador 50th Anniversary Roadster σε neon green αποκλειστικά για τον Mr Singh (μάλιστα ονομάζεται Verde Singh), καθώς και την one-off Pagani Huayra “La Monza Lisa”. Η Agera XS ταξίδεψε αεροπορικώς μαζί με τη Regera από τη Σουηδία στο Monterey της California, όπου παραδόθηκε στον νέο της ιδιοκτήτη στο πλαίσιο συνάντησης ιδιοκτητών Koenigsegg , τη δεύτερη μεγαλύτερη μετά την αντίστοιχη που έλαβε χώρα στη Σκανδιναβία. 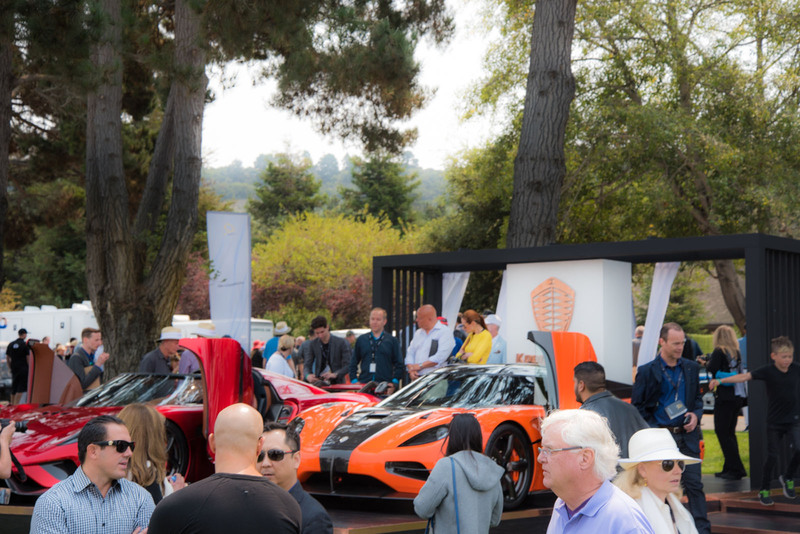 We’ve been at Monterey Car Week all this week, showing off both the Agera XS and the Regera to customers and automotive enthusiasts at McCalls Motorworks Revival and The Quail Motorsports Gathering. We only do two external events per year as a company. One of them is the Geneva Motorshow. The other is Monterey Car Week. Koenigsegg cars appear at other events such as Goodwood, Salon Prive, and the New York Auto Show, but those events are generally organised by our local dealers in the area, with Koenigsegg providing vehicles and other support. Geneva is crucial for us as both an industry event and a public/customer event. It’s a chance to get our industry news to the world during the biggest show on the automotive calendar. Monterey is crucial to us as a customer outreach activity. It’s a chance for us to connect with our US-based customers in a comfortable setting, in a truly beautiful part of the world. We get to know them and their family a little better through tours of the vehicles, test drives, over meals together and via conversations that can last for hours, in some cases. It’s been a very busy week for our Monterey team, but also very satisfying. We’ve met a LOT of people and, hopefully, we’ll have added a few new customers to the Koenigsegg family, too, when all is said and done. 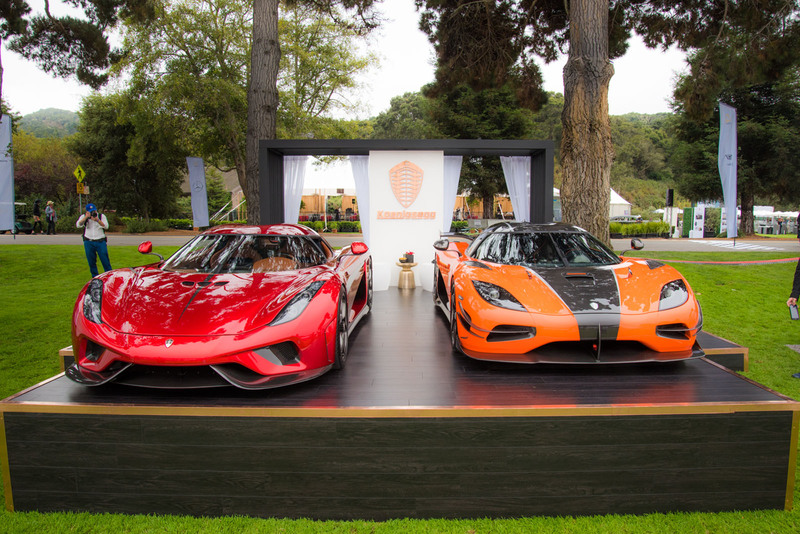 Koenigsegg is re-entering the US market with both the Agera and Regera models and there’s a genuine appetite out there to see the cars first hand, and to learn about the amazing performance and value that Koenigsegg cars offer. It’s certainly been interesting to see a greater awareness about Koenigsegg amongst visitors to Monterey. Last year, we were doing basic introductions as to who we are and what our cars could do. 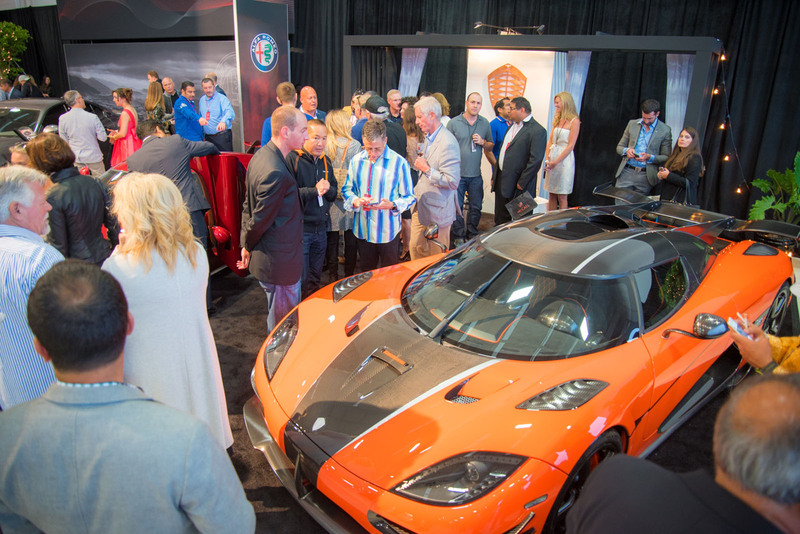 This year, thanks to online film such as Apex, Jay Leno’s Garage and our own promotional activities, we noticed a much greater awareness among visitors to the Koenigsegg stand. McCalls Motorworks Revival takes place at the Monterey Jet Center and poses the best in automotive with the best in personal aviation. The event starts at 5pm and it’s quite spectacular to watch the skies darken and the displays light up. Not only did we have the Agera XS and Regera looking amazing on the Koenigsegg stand, we also had the support of two of our customers who bought their CCX and Agera R to the event for display. 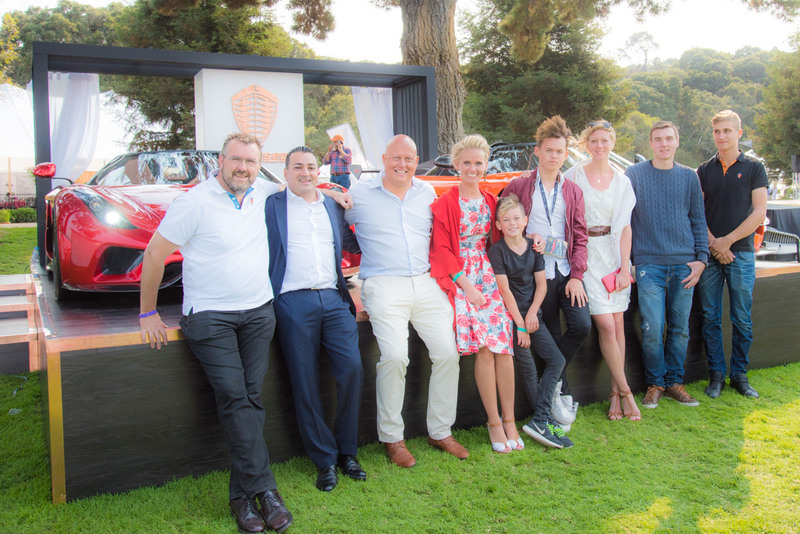 There was plenty of food, drink, and entertainment on hand and combined with the truly exquisite machinery on display, McCalls makes for a splendid way to spend an evening. We will have a full gallery featuring all the interesting vehicles on display at McCalls in the next few days. ‘The Quail’ is a display held on the manicured grounds of The Quail Lodge and Golf Club, located in Carmel. The Quail is a much bigger show than McCalls but attracts a similar crowd of car enthusiasts and glitterati. The Koenigsegg stand was busy all day with people wanting to look over both the Agera XS and the Regera. There was plenty of admiration for the Agera XS, the first Agera RS being homologated for US roads being seen for the first time on home soil in the United States. Both fans and potential owners were in awe of the finish and the attention to detail that went into building this car, with plenty of comments about the Karosserie Orange paint finish, the clear carbon feature down the middle of the car and the customised front and rear aerodynamics. With the Agera RS already sold out, however, there was also a lot of attention paid to the only model we have for sale at the moment – the Koenigsegg Regera. We had hundreds of conversations through the day about the cars, including quite a few encouraging expressions of interest from owners of some quite revered modern hypercars. The expressions on their faces when we took them through the performance capabilities of our cars were priceless. “Really?” was quite possibly the most commonly used word of the day. A number of those visitors were back today (Saturday) for a short personal tour of the Regera to experience the car for themselves. Christian and Halldora von Koenigsegg were both on hand as part of the Koenigsegg team at Monterey and as usual, Christian was indefatigable, talking with people and posing for photos all day. Kris Singh, the owner of the Agera XS, was on hand to see his car for the first time in daylight and it’s fair to say he was pleased. Kris was intimately involved in every step of this car’s custom design and development. It’s very much a reflection of his personality and you couldn’t had wiped the smile off his face if you’d tried. If you could pull one highlight from an event like The Quail, it’s typically what happens at the end of the day. There’s a lot of excitement during the day as people discover our cars for themselves, often for the first time. The really palpable excitement comes later, when we move the cars off the stand and get them ready for transport. The carspotters who are fortunate enough to attend The Quail gather and wait for the cars to be started and driven off the stands. They follow every move, often moving together as a pack to capture the best shots to post to the internet – just minutes later, in some cases.